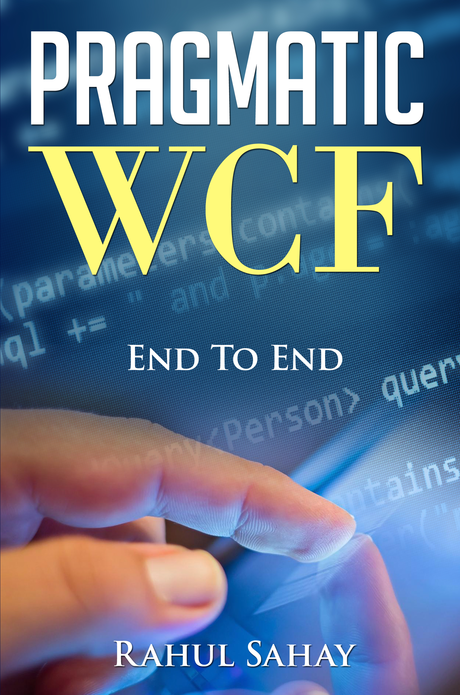 It gives me immense pleasure to announce that, I have made Pragmatic WCF free for 5 days, ending on 26th June. I really, like you guys to go ahead and utilize this opportunity to download the same, read it and provide your feedback. Looking ahead for your feedback. Also, from many folks I have been hearing don’t know how to use Kindle. It’s very simple. Once, you buy the book. Amazon, will send you kindle link on your mail as well. This will enable you to install kindle on your machine or on phone. This will help you reading book offline. Otherwise, if you want to read the same online, that also you will instantly. This entry was posted in C#, WCF and tagged C#, WCF. Bookmark the permalink. Please tell me how can i download it. I have visited to amazon website but unable to find how can download it. Its easy, you just need to click on one click buy. It will ask your mail id and other stuffs. if you are doing 1st time, then need to signup with email id. Once, done then amazon will give cloud reader link there itself, which is for online reading. Also, amazon will send kindle app download link, which is in 30KB or MB in size i guess. Once, you installed the same with the same mail id which you have provided while buying the book, it will download the same in your device. Then, you can download the book offline as well.